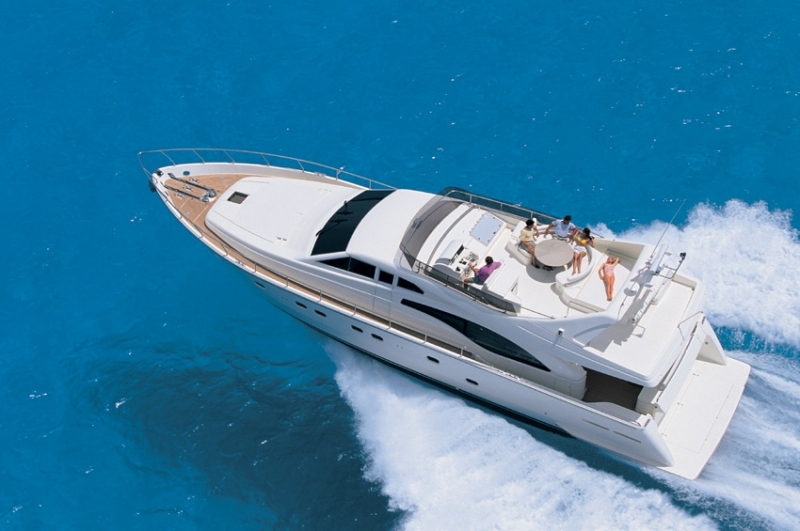 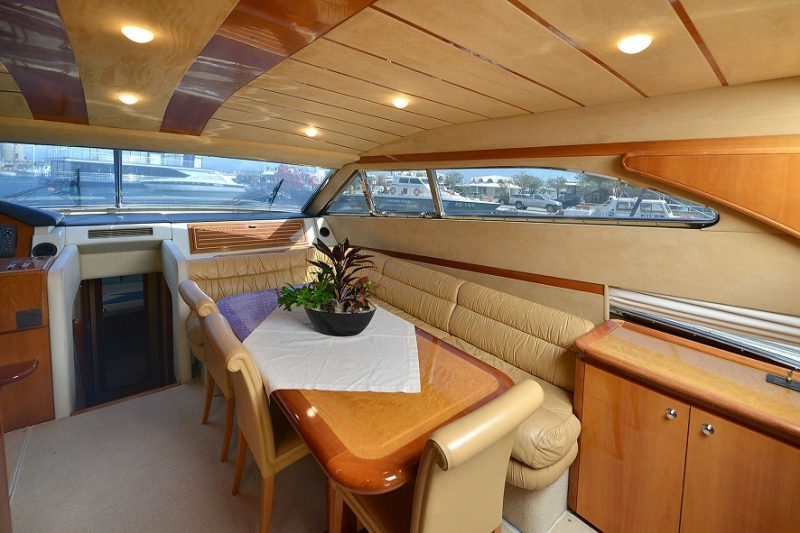 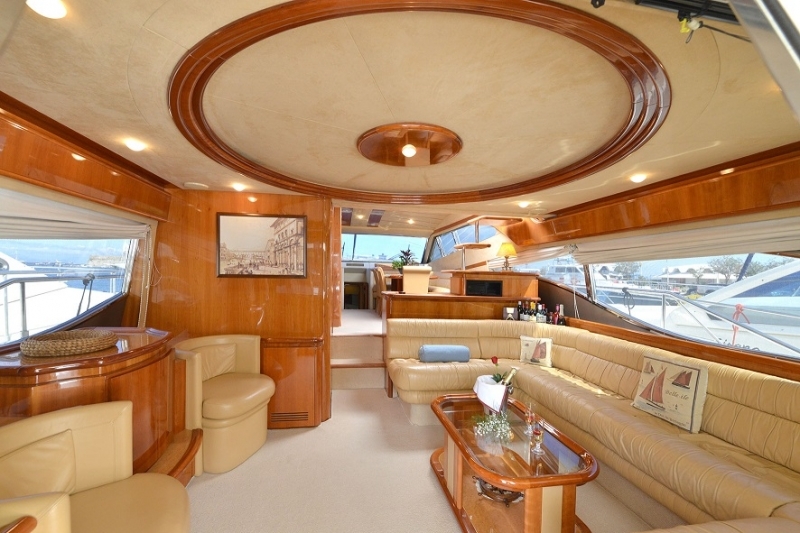 Luxury motor yacht Mary is a stylish 68 feet Ferretti, which combines comfort and style along with exceptional performance. 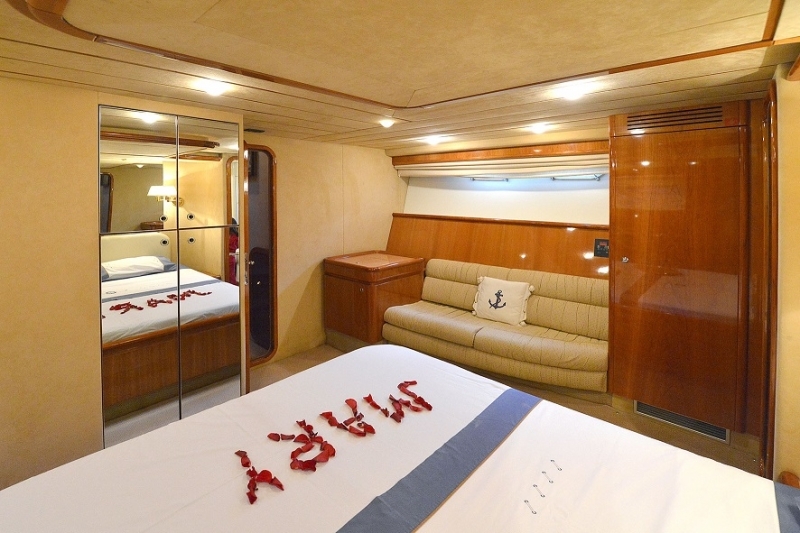 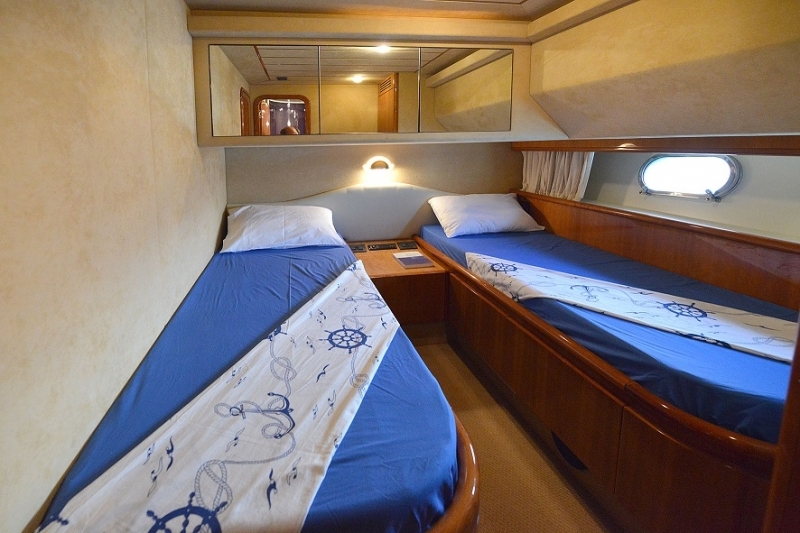 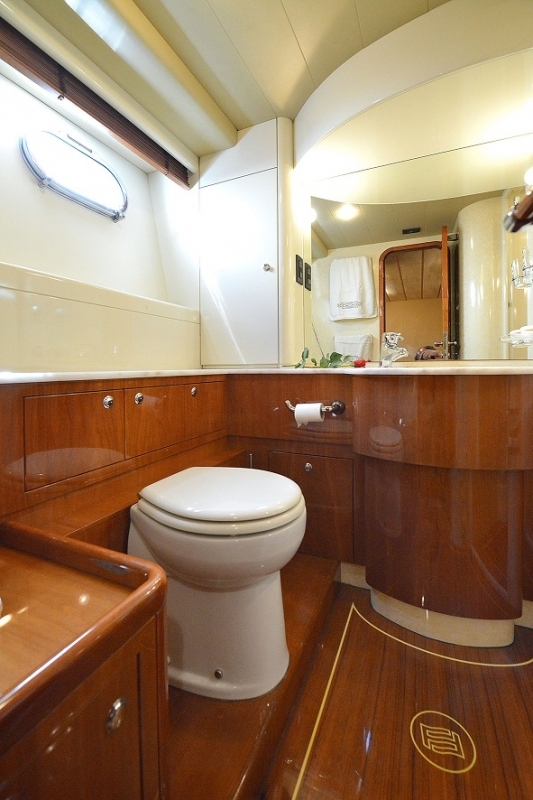 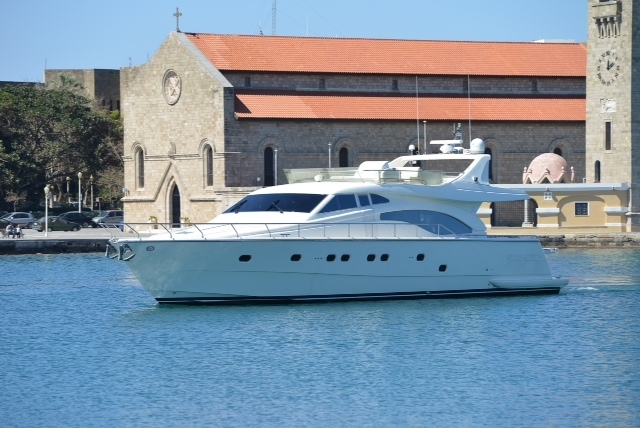 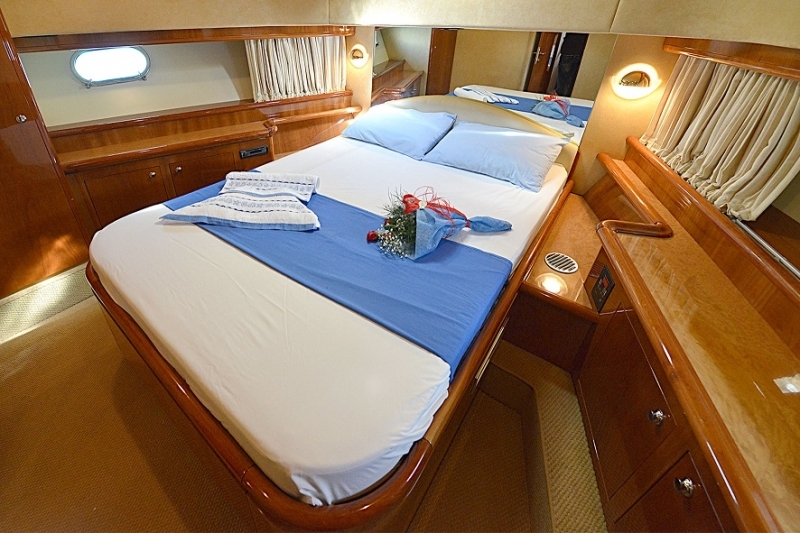 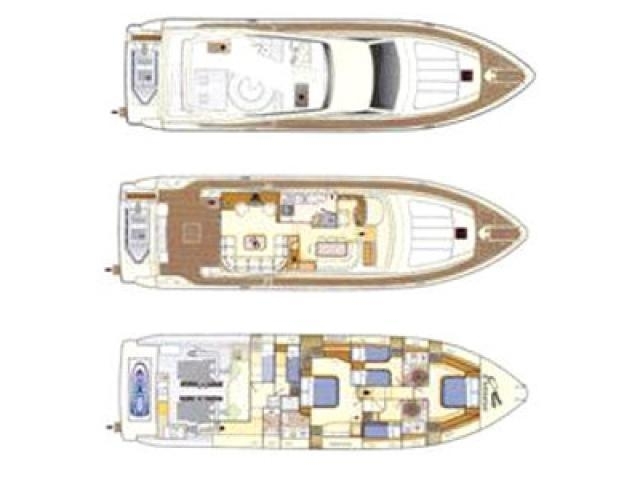 She is based in the wonderful Greek island of Rhodes (Dodecanese) and she is available for private charters in the Greek islands of Dodecanese (Symi, Halki, Patmos, Kos, Leros etc), Cyclades (Mykonos, Santorini, Paros, Ios etc), Crete and the Turkish coasts. 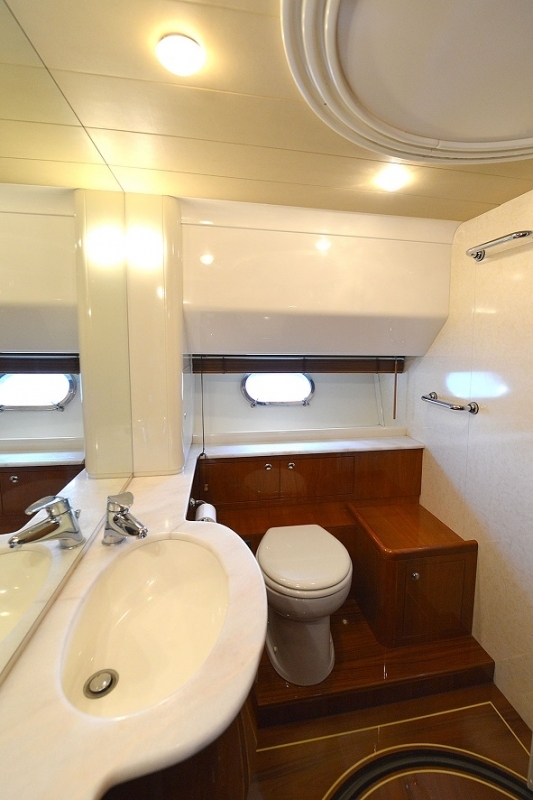 Fully Airconditioned, Disalinator (Water Maker), Ice Maker, Electric Stove, Microwave, Electric Refridgerators, Washing Machine, Espreso & Capucino Machine, Filter Cofee, Toaster, Hair Dryers. 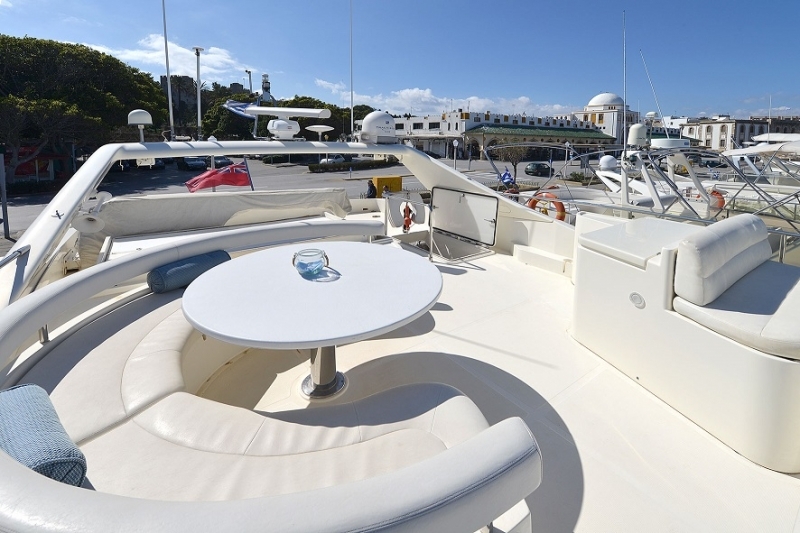 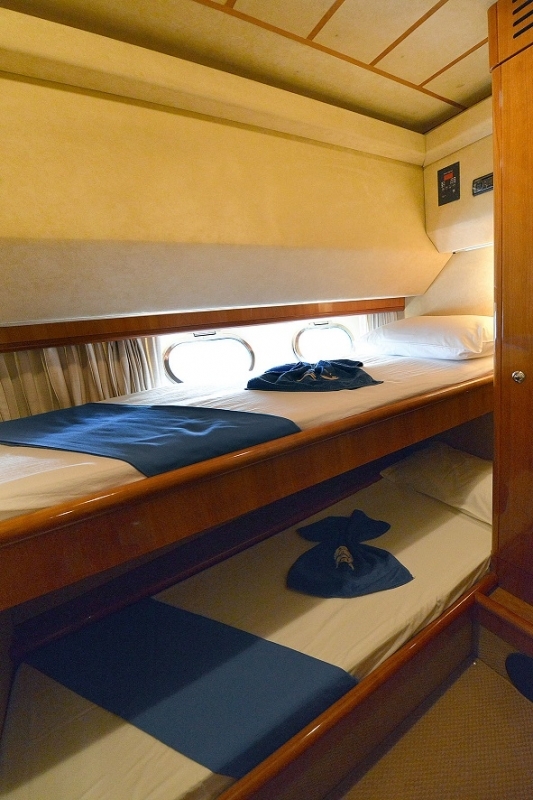 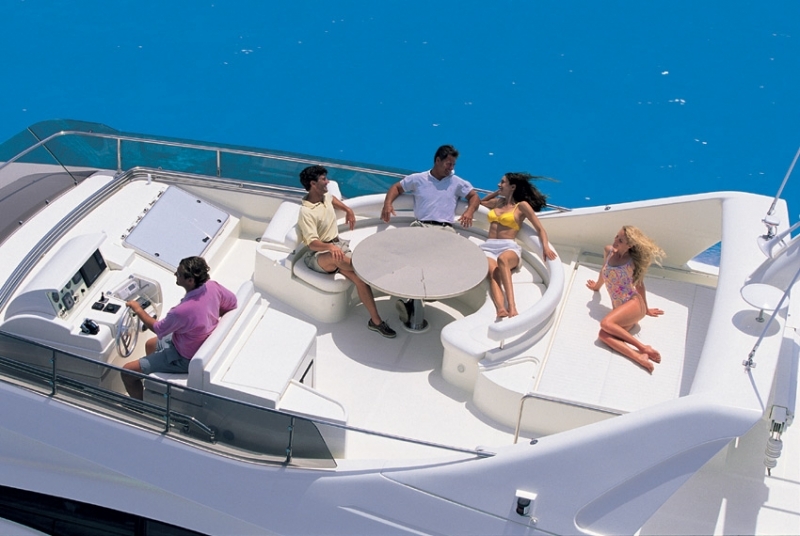 M/Y Mary is the ideal yacht to rent for special events (parties, bachelor's parties etc) and daily cruises in Rhodes, the near by Greek islands or Marmaris in Turkey and the Turkish coasts. 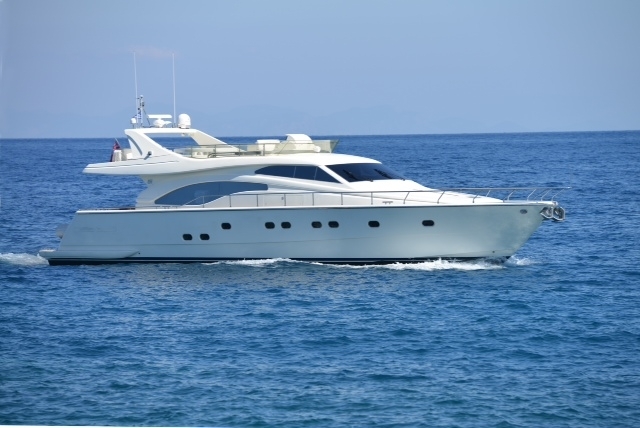 With a licence for up to 20 passengers for Daily Cruises and with a speed of 28knots/hr, she is the ideal yacht to cruise along the idyllic coasts of Rhodes, the nearby Greek islands of Dodecanese (Symi, Tilos, Halki, Nisyros etc) or Turkey.